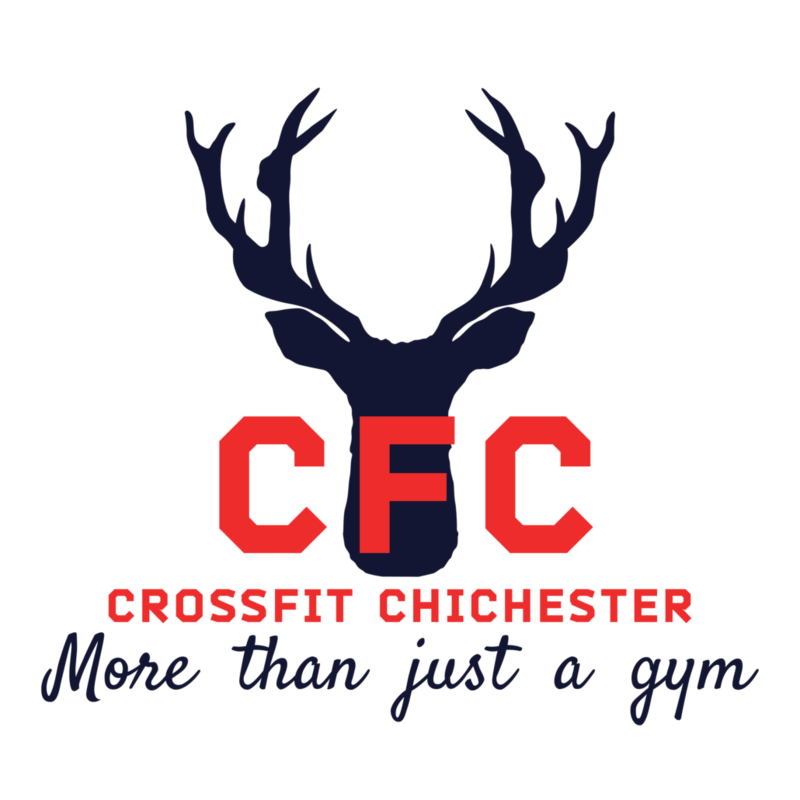 Crossfit Chichester was established in 2012 and opened February 1st 2013. 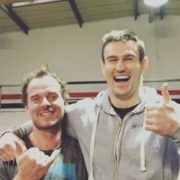 Its inception was that of Archie Cunningham, a health and fitness advocate and renewable energy graduate who had a vision to bring the best of Crossfit to his home town. 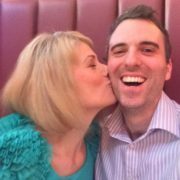 Since then he has trained hundreds of clients and inspired many to go on to become coaches themselves. 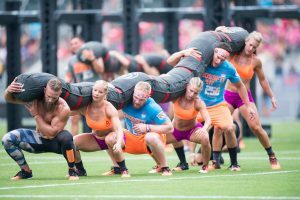 With new investment, coaches and his Level 3 Crossfit exam looming there no rest in sight. 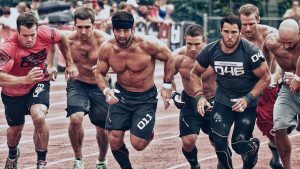 Crossfit Chichester aims to be a by-word for quality and next level training. We are a family friendly, supportive community that absolutely holds up traditional values and the sense of personal responsibilty. Our core values are those of inclusiveness and respect for others. 10% of all our profits go to charity including Greenpeace, Plastic Oceans and the NSPCC. We will keep looking at ways to donate to help improve our impact on the planet. The goal is general physical preparedness. 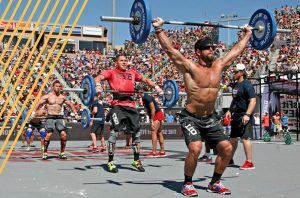 Greg Glassman founded Crossfit in 2000 – his idea was to combine fitness disciplines and found how combining a variety of functional movements with high intensity had a profound result – a “greater work capacity across broad time and modal domains.” There are 10 markers for this – cardiovascular/respiratory endurance, stamina, strength, flexibility, power, speed, coordination, agility, balance and accuracy. 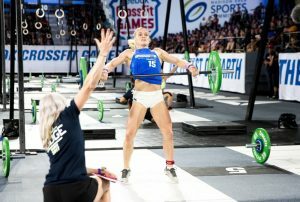 You’re no longer in the gym training alone – you’re supported by a coach and surrounded by fellow Crossfitters who all help and push each other – women have greater freedom now than ever to work with weights and be more aggressive in their training to create strong, shapely, healthy functional bodies that are built for ability. 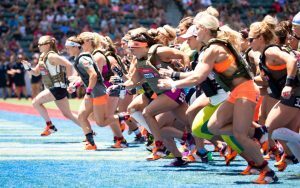 Women are so predisposed to benefiting from this kind of training and it makes it an exciting part of the development of Crossfit. Matt Damon, Cameron Diz, Jessica Beil, Jessica Alba, Paula Patton, Brad Pitt, Channing Tatum, Chris Pratt, Jason Statham and Josh Holloway. 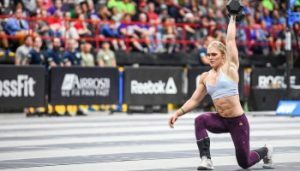 Athletes: Professional athletes are beginning to recognise the benefits of Crossfit training and use it as a base for their fitness training. 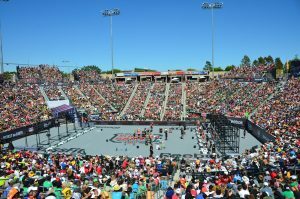 Famously below are a few who are true Crossfit advocates. Christie Rampone: captain of the gold-medal winning 2012 U.S. Olympic women’s soccer team. 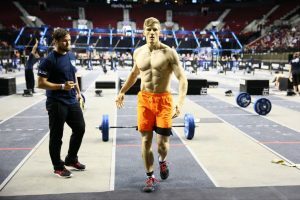 Brady Aiken: started CrossFit at age 10 at CrossFit East County. At 17 he became the top pick in the MLB draft and signed to the Houston Astros as a pitcher. Dean Karnazes: ultramarathon runner. Once ran 350 miles in 80 hours and 44 minutes. Tia-Clair Toomey Australian Olympic Weightlifter. Set up a profile, login and get registered in time for the beginning of the open. We’ll be doing the workouts each week in class, so check zenplanner for when its scheduled in. Crossfit Chichester, aka Archie’s Gym, is awesome!! I joined in October 17 thinking I was reasonably fit, little did I know. I graduated out of the induction phase and have been in classes nearly a month now and LOVIN IT! 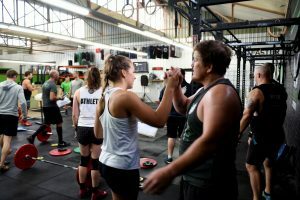 Crossfit Chichester isn’t a bunch of meat heads pumping iron. It’s a community from all walks of life, training together to be fitter for life. Whatever your goal is, come and join the fun…. I joined Archies Gym in the spring this year. Right from the word go Archie demonstrated a relentless commitment to working with me as an individual. I didn’t join with any particular fitness goals but have found myself making immediate gains in my own strength, endurance but most importantly feeling healthier as a whole. 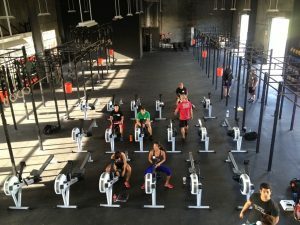 I don’t really do ‘gyms’ and so was a little sceptical at first but immediately discovered this is so much more than a ‘Crossfit’ gym. 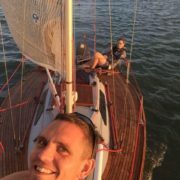 The balance of being both immensely physical challenging whilst being relaxing and social demonstrates the thought and skill that goes into running this place. 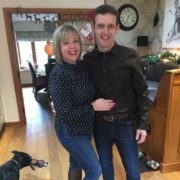 I have and will continue to recommend to friends and highly recommend taking a free consultation – what have you got to lose! Get involved, you won’t regret it. Archie’s gym is an excellent place to train, learn and enjoy it at the same time. The coaches are second to none – they really are brilliant, and watching them perform in workouts is constant inspiration. 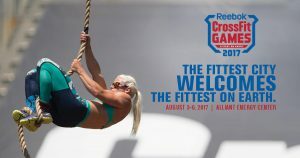 I only started Crossfit a few months ago and am relishing the new challenges – of which there are many!. 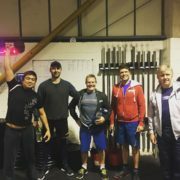 It’s a very friendly place to train, new faces are always warmly welcomed at every fitness level. Excellent and can fully recommend! 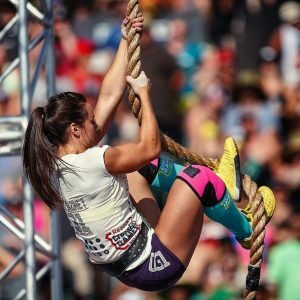 I have struggled to gain momentum in every other gym format I have attempted over the years. Without really thinking about it I find myself attending 2-3 times per week and feel the fittest I have for about 15 years (I am 38) and this is after only having joined 3 months ago! Don’t hesitate and get in touch with Archie who know his stuff!